Style another device with "Charmed"
Skins provide low profile protection with no bulk and protects your Samsung Galaxy S7 from scratches. The unique weaved adhesive allows for fast, easy and accurate application, and goo-free removal. Make your Samsung Galaxy S7 uniquely yours. 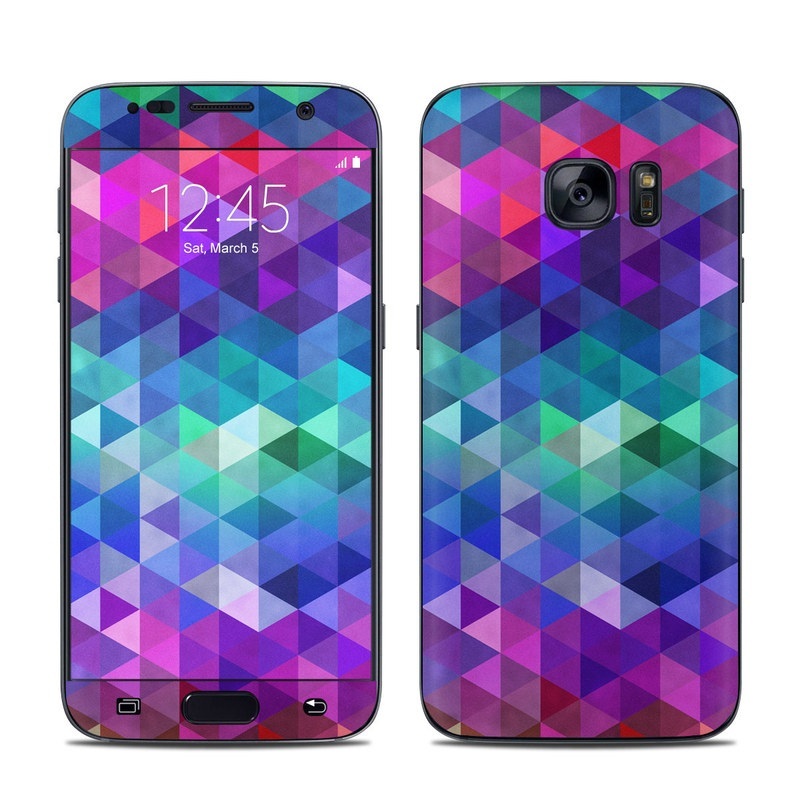 iStyles Samsung Galaxy S7 Skin design of Purple, Violet, Pattern, Blue, Magenta, Triangle, Line, Design, Graphic design, Symmetry with blue, purple, green, red, pink colors. Model SAGS7-CHARMED. Added Charmed Galaxy S7 Skin to your shopping cart. View your Shopping Cart or Style Another Device with "Charmed"
With coverage for 1089 devices and a collection of 2407 designs, iStyles is the global one-stop brand that people turn to when they want to style and protect their gadgets, to differentiate themselves from the crowd and to be stylish.